On December 13th, 2018, the U.S. Senate voted to end U.S. participation in the war on Yemen by a vote of 56 to 41. But the House passed a bill, by a three-vote margin, that included a ban on taking such a vote in 2018. In the new Congress, the House passed a verison in February that included unrelated language that the Senate refused to vote on. But the Senate passed a new version on March 13th. 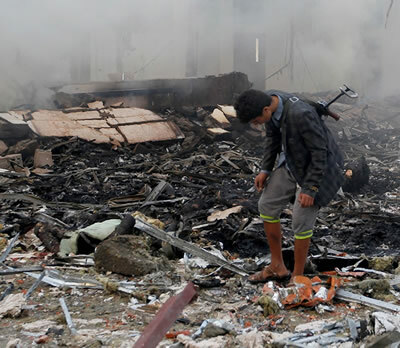 Now, the House need to vote again to end U.S. participation in the mass killing in Yemen. As a constituent, I urge you to vote to end U.S. participation in the war on Yemen. I also ask that you pass legislation to end U.S. weapons sales to Saudi Arabia.